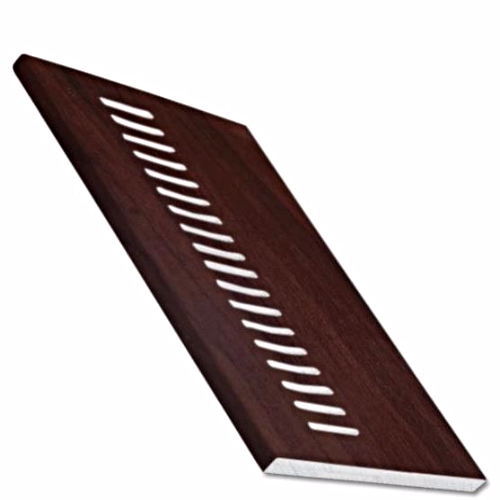 Our rosewood soffit boards are a product for protecting the underside of roofing elements, and our rosewood soffit boards bring a clean and luxury finish to your project needs. 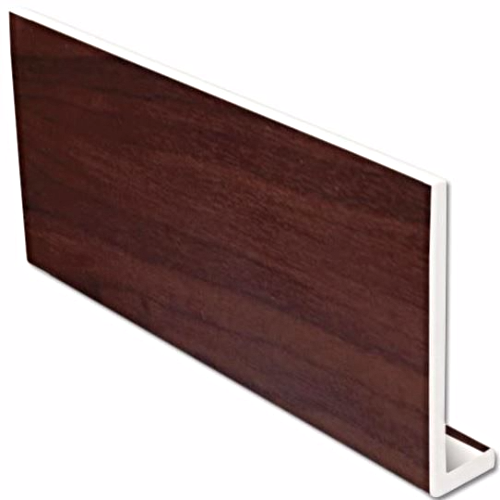 Our rosewood soffit board products give you a great, classic grained rosewood look finish along with the durability and strength our high-quality PVC materials deliver. This is important because a soffit board serves two major purposes, to improve the visual looks of your property and to protect the sensitive construction materials they cover. 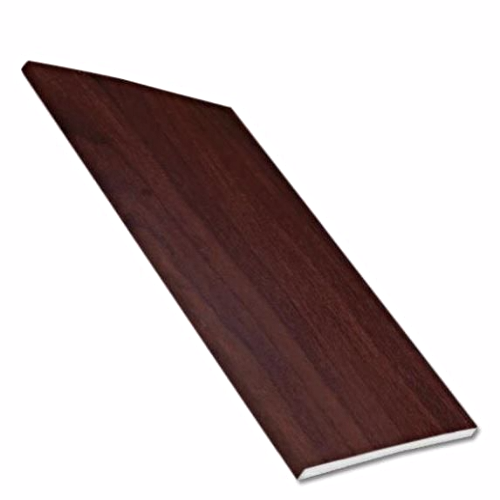 To best serve you we offer three variants of our rosewood soffit boards and several useful products to help get the finish you need. These three versions are solid boards, vented boards, and hollow boards. Our rosewood soffit boards come in a standard size of 9 mm in thickness, 5m in length, and a choice of widths from 100mm to 605mm. 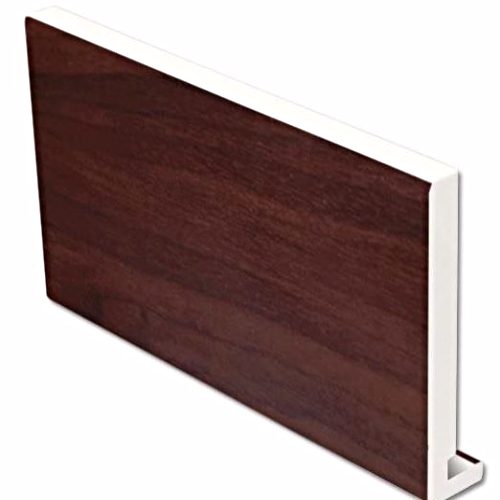 Our rosewood fascia board products offer a great way of capping and/or replacing your existing timber fascia boards with a solid luxury and stylish finish. PVC fascia boards have several advantages over timber fascia boards, including better durability, longevity, and resistance to damage. 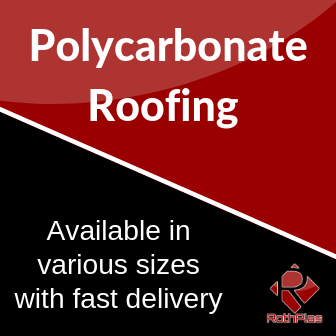 They are also very cost effective and require significantly less maintenance and costs. 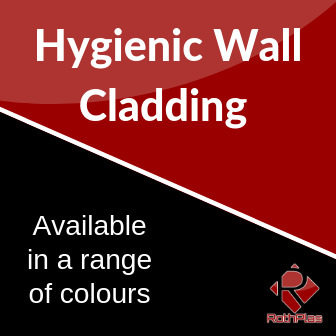 We offer two versions of fascia boards, replacement boards and capping boards. Also don’t forget we offer a number of products in rosewood which includes, corners, joints, trims, vents and pins to help get that quality finish you deserve.